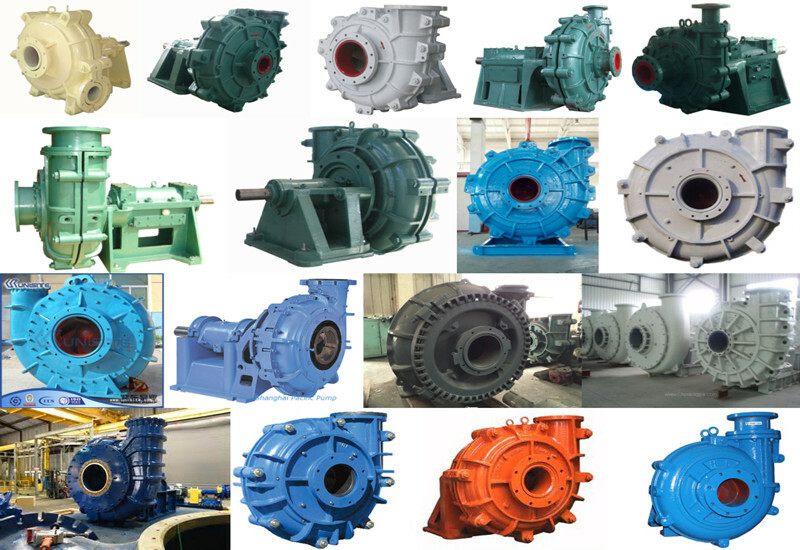 Product categories of Slurry Pump, we are specialized manufacturers from China, Small Slurry Pump, Vertical Slurry Pump suppliers/factory, wholesale high-quality products of Mining Slurry Pump R & D and manufacturing, we have the perfect after-sales service and technical support. Look forward to your cooperation! Mud pump, refers to the process of drilling in the drilling fluid to transport mud or water, such as washing fluid machinery. Mud pump is an important part of drilling equipment. In the commonly used positive circulation drilling, it is the surface flushing medium - water, polymer mud or flushing fluid under pressure, through the high pressure hose, faucet and pipe column center hole sent straight drill bit at the bottom of the to to cool drill, cutting down the debris cleared and transported to the surface. Common mud pump is a piston or plunger, by the power machine drives the crankshaft rotary pump crankshaft through the crosshead drive piston in the pump cylinder for reciprocating motion. Under the alternating action of the suction and the discharge valve, the purpose of the pressure feed and the circulating flushing liquid is realized. In one cycle of the reciprocating motion of the piston, only one suction and drainage action is completed. Pump pressure depends on the depth of the hole, flushing fluid through the resistance of the channel and the nature of the transport of flushing fluid, etc.. The deeper the drill hole, the greater the resistance of the pipeline, the higher the pressure required. With the change of the diameter and depth of the hole, the displacement of the pump can be adjusted at any time. A gear box or a hydraulic motor is arranged in the mechanism of the pump to adjust the speed of the hydraulic motor to achieve the purpose of changing the displacement. In order to accurately grasp the changes in the pump pressure and displacement, the mud pump to install flow meter and pressure gauge, and at any time so that staff understand the drilling pump delivery \ turn, while the pressure changes discriminant hole condition is normal in order to prevent the occurrence of accidents in the hole. Type I-1B pump concentration is widely used in chemical, pharmaceutical, brewing, papermaking, food etc..
Piston, piston plate, cup, piston, piston rod, piston rod, inlet and outlet valve, inlet and outlet valve seat, crosshead, crosshead sliding sleeve, crosshead pin shaft, crankshaft, connecting rod, connecting rod under the tile, connecting rod copper sets, connecting rod screw, a nut, a crown nut, skeleton oil seals, O - sealing ring, bearing and matching of gear, shaft etc. easily a quality problem, should be paid attention to in the purchase and use.